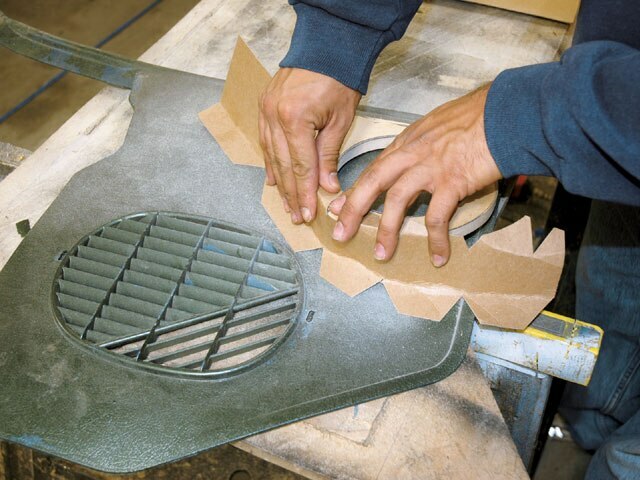 You Can Have A Finished Kick Panel That Will Give You Front Stage And A Clean Look In Just An Hour Or Two. Often times, these audio Tech articles are insights into what you can do if you take the time to learn and build, but let’s face it, we rarely have that luxury anymore. We all start out with good intentions wanting to add sounds to our rides, but reality soon sets in. For some, the answer is a second set of speakers in the doors. For others, the front stage loses importance really fast. So how important is the front stage to you? before you answer that, here’s a quick solution to a more complex installation. Performing this install will not take more than a few hours, so you could finish a complete sound system installation with kick panels before hitting the park on a Sunday afternoon. This type of installation is an adaptation from some of our upholstery friends.This isn’t anything new, just new to us. From the stereo installer in me, I have to tell you that the frequency range is not optimal in that the low end response is not where it should be due to the “free air” characteristics of this installation. 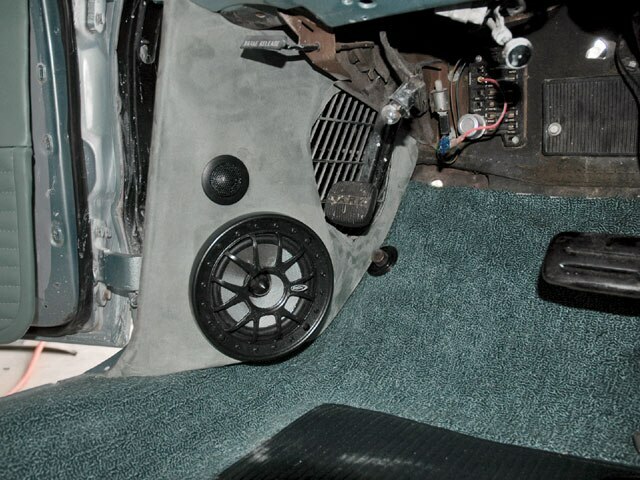 but then again, hot-rodders have been mounting speakers in this fashion for years. More and more upholstery shops have been offering their car stereo installation services. While they always look really good, they’re not the kick panels that we have come to know. no fiberglass, just the simple upholsterer’s materials and the patience to shape them. so the curves are less complex and you don’t need hours or days to let things cure. no time needed for body filler and sanding. For this installation, we’ll be using the factory kick panels and adding to them before wrapping them in matching material. 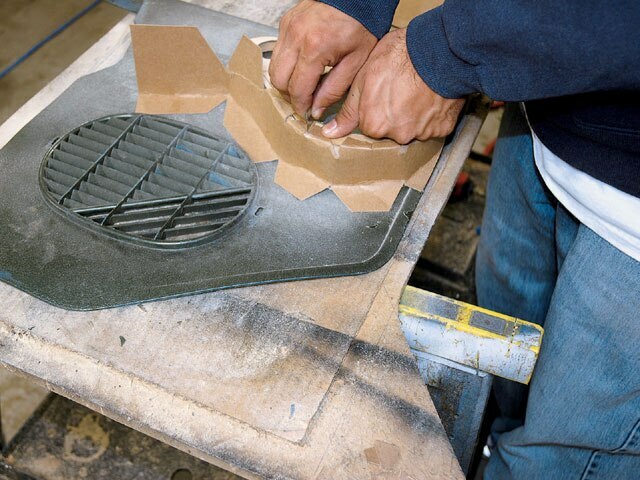 In traditional installation style, we’ll create a solid mounting surface and use the upholsterer’s tricks to shape the rest of the kicks in place of our poly material stretch and fiberglass, effectively cutting out a half-day’s worth of work or more. So follow along and watch as these kick panels are quickly transformed, making them “quick panels,” for lack of a better term. The kick area was cleared out and the excess carpet was trimmed away to allow for cleaner fit. The edges were rounded over to allow for a clean transition once the paneling is attached. 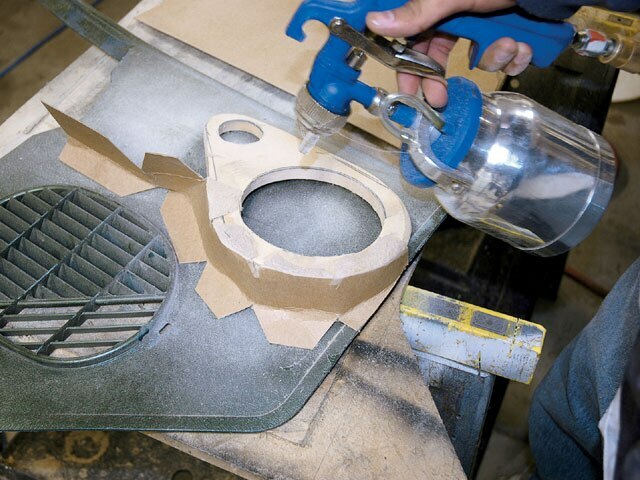 Without this step, you would notice a hard edge under the material. 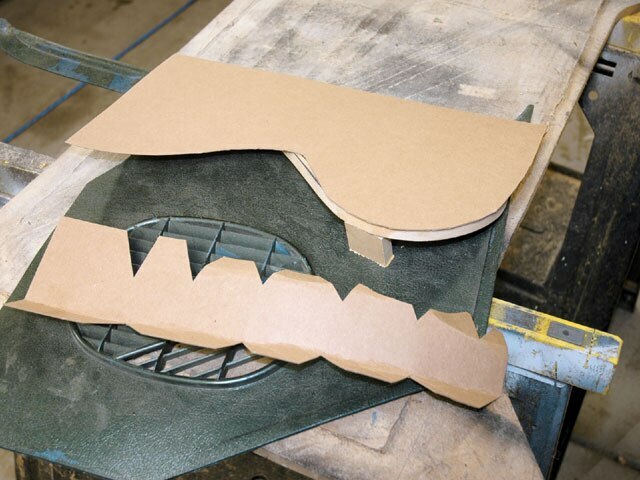 Cardboard templates were cut out for the flat area and the transition. notice the relief cuts. 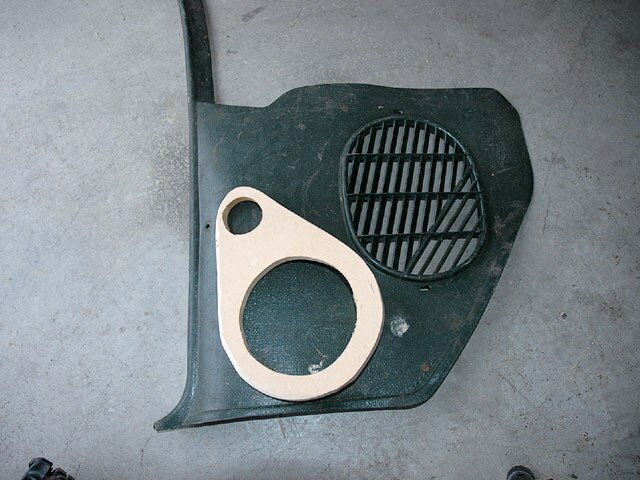 They will allow the panel to make the curve around the bottom of the support panel. 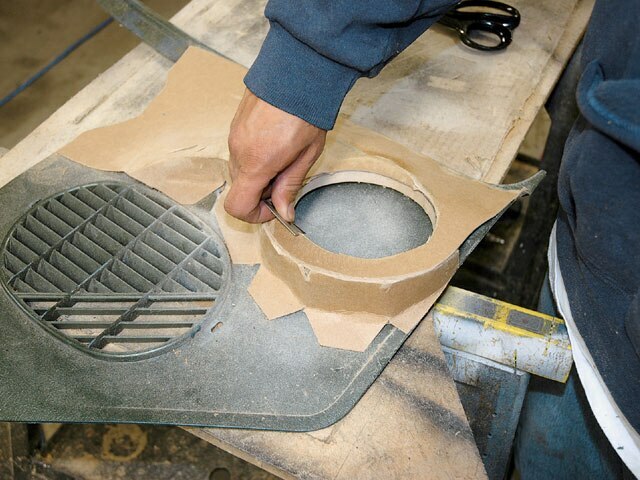 The first order of business is to create a mounting surface for the speakers. 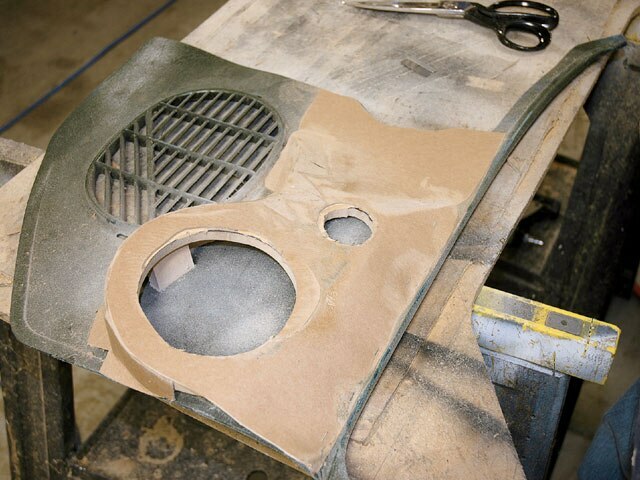 here we used a 1/2- inch board in a teardrop shape created from the natural curves of the speakers themselves. 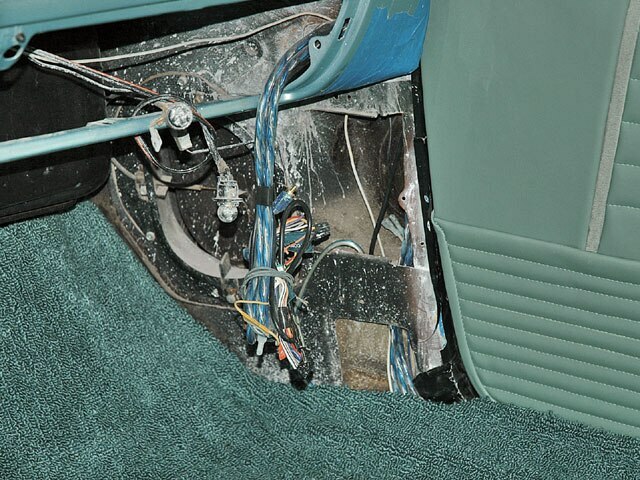 The kick area was cleared out and the excess carpet was trimmed away to allow for a cleaner fit. A small “step” was added for improved staging and speaker clearance. In this case, the step is 1 1/2 inches cut at a 30-degree angle, but each installation is different. 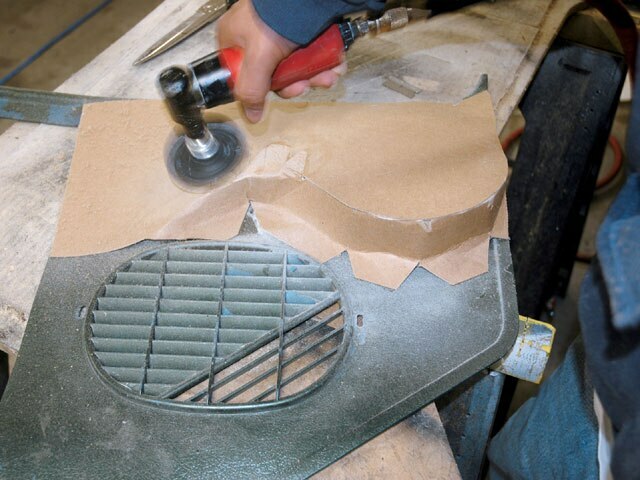 Glue was applied to the entire panel and the transition piece was carefully pressed down. After being glued down, the panel is trimmed clean to allow an even surface for the flat panel to attach to. 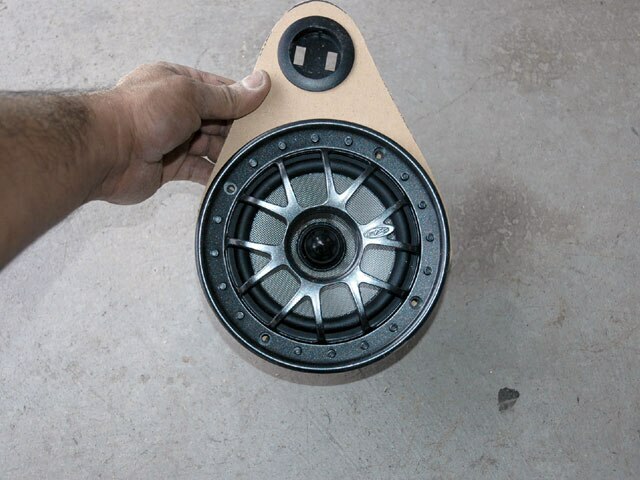 The speaker fit was confirmed and the teardrops can be mounted to the factory kicks and shaped. The area is then feathered out with an angle grinder and 36-grit discs. The edges were all feathered and sanded for clean lines and no lumps under the material. Any hard edges or lumps will show through the material. With all of the edges clean, the entire surface is blown off and cleaned up before the glue is applied and the material laid down. 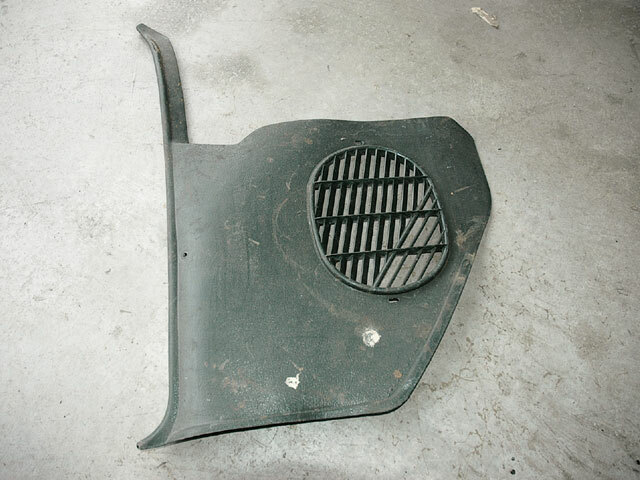 The end result is a simple and clean kick panel that didn’t take a day or two to complete. 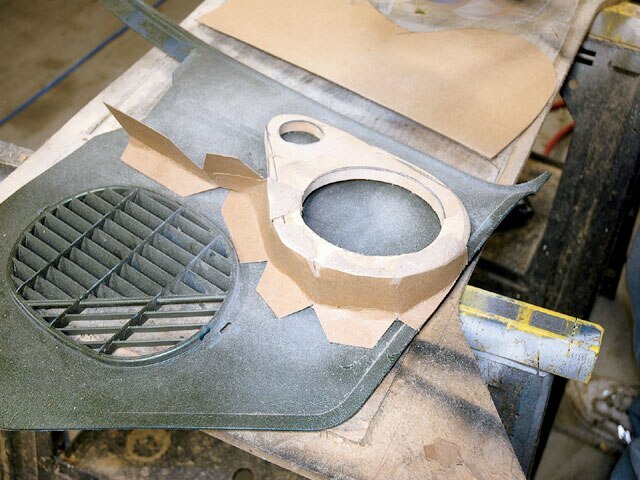 In just an hour or so, you can have a finished kick panel that will give you front stage and a clean look. Plus it won’t take too much time away from your cruising. Glue is the applied to the kick and flat panel, and allowed to tack up before being pressed in place. The upper edge of the transition panel was folded over the top for support. 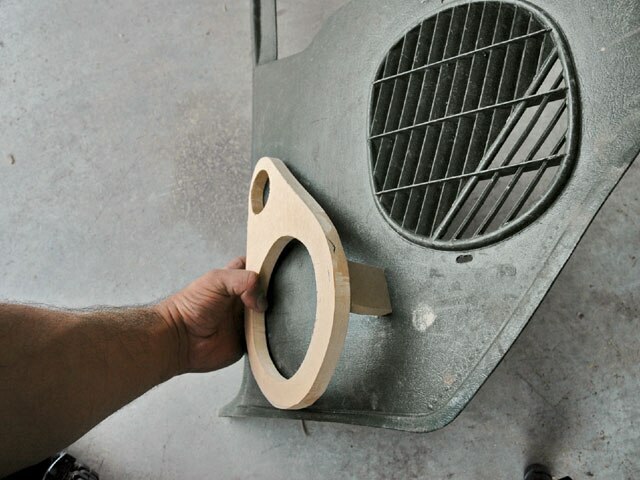 Next the speaker holes were cut out. And the face is sanded over once more to ensure a clean smooth surface. Now that everything is cleaned up, we can add the material. 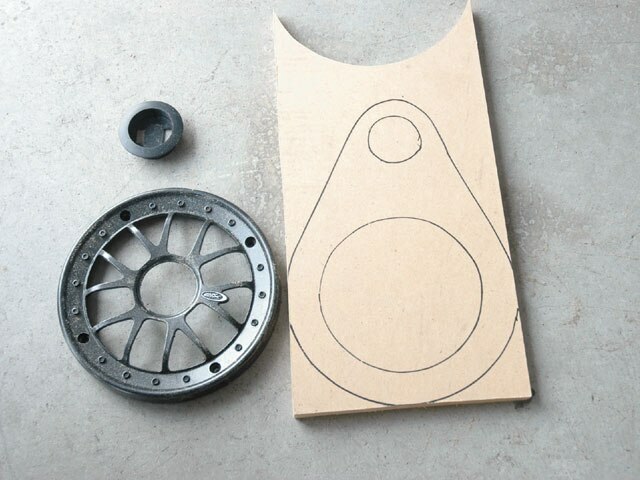 Lay it down from the more diffi cult curves to the easier transitions, then trim away the excess. 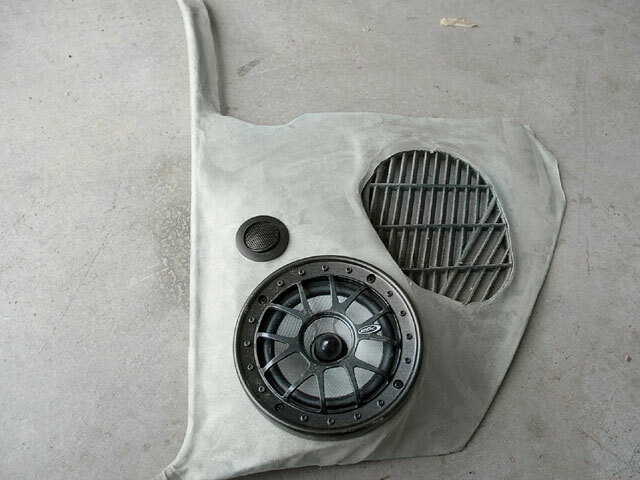 The factory vent areas will have chrome grilles added on so they’re left open.